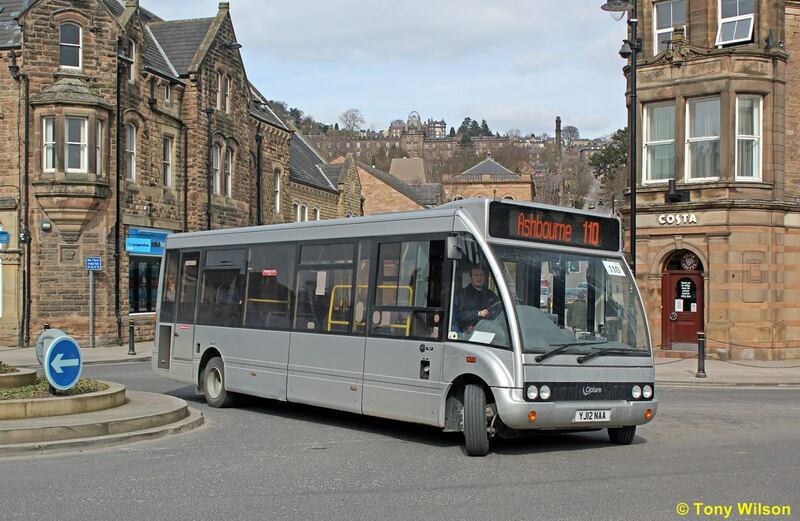 The last day of March 2013 saw the Derbyshire County Council contracted routes 110-112 (Matlock-Ashbourne), change hands. Over the years several operators have run the routes and more recently they were in the hands of TM Travel, usually with two Optare Solos. However, at this change two bus operating companies have secured the contracts, G&J Holmes of Clay Cross on Sundays and Bank Holidays with Yourbus of Nottingham running the lion's share Monday-Saturday. 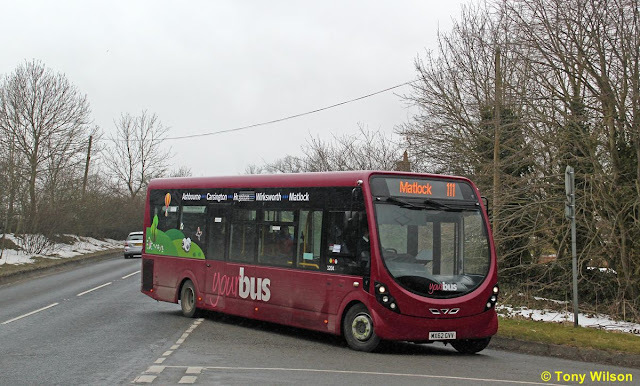 At the same time the frequency has been improved from five to seven main journeys each way between Matlock and Ashbourne. Illustrated on the first Sunday of operation is a 12-plated Optare Solo as it was swung around the 'Crown' island at Matlock, with a regular Holmes' bus driver at the steering wheel. Two days later on the 2nd April and Yourbus put in their first appearance, one of the two buses being a Wrightbus Streetlite DF version with modest route branding, here as it pulled off the main road by Carsington Water to dive down into the village. The awful weather conditions have not helped to promote the new vehicles for the service, with grubby snow splattering their bodywork as they passed along the country roads. Hopefully they will look better once Spring has sprung properly and summer sunshine returns.